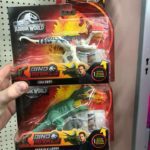 After showing up on New Zealand shelves earlier this week, the first Wave 2 figures from Mattel’s Dino Rivals toyline have hit US shores with a spotting today at a Walmart in Ohio. 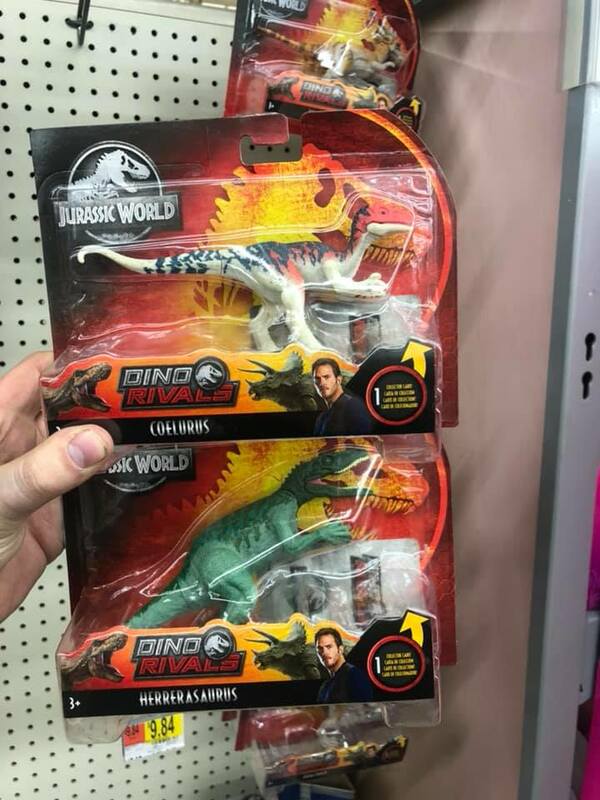 The Herrasaurus redeco and all new Coelurus are the only known Wave 2 Attack Pack releases according do the Jurassic Facts app, but we already know more Dino Rivals are on the way in 2019 that are not yet listed in the app. 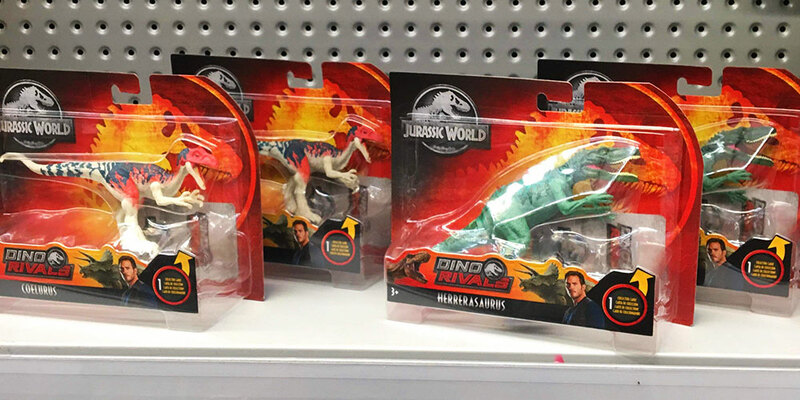 What other Wave 2 figures can we expect soon? 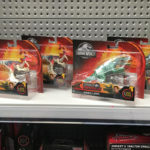 Keep a look out for the Mega Dual Attack Pteranodon as well as the Battle Damage Plesiosaurus. 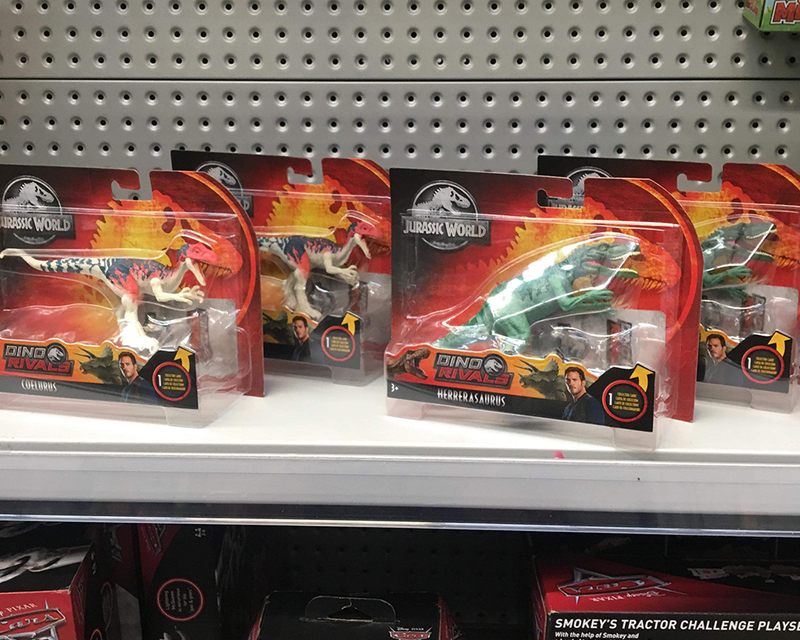 Beyond that, we’ll just have to wait and see what Mattel reveals at the 2019 Toy Fair in New York next week. We’ll have more on that very soon! Photos courtesy of The Chosen Ones and Jason P.